Watch: Jacinda Ardern addressed rising petrol prices on Monday. Credits: Image - Getty, video - Newshub. 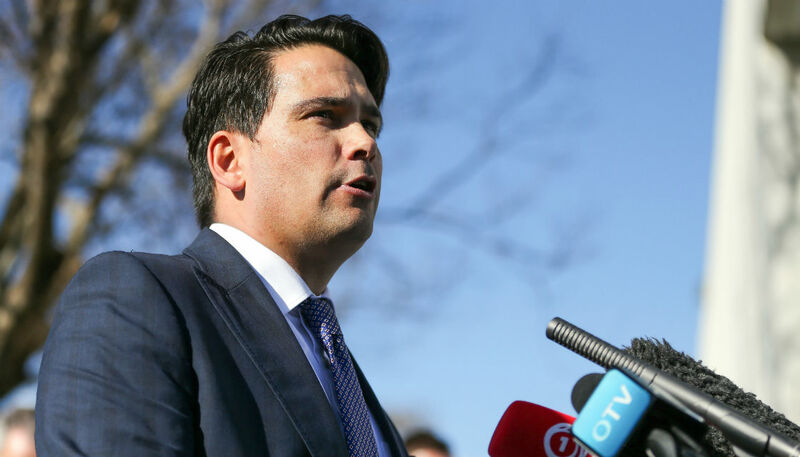 Simon Bridges has demanded the Government use its $5.5 billion surplus to lower taxes. The National Party leader claims Labour has "piled on taxes" since they came into power in 2017, which he says explains this year's surplus which is $2.4 billion more than forecast. "The reason the Government has more money is because New Zealanders have less," he said in a statement. "New Zealanders can't afford this raid on their back pockets all so the Government can waste their hard earned money on wasteful and untargeted spending." Mr Bridges is calling for the Government to take back increased fuel taxes, despite the taxes not being a leading cause of rising petrol costs. "The extra fuel taxes alone are pushing up the price of petrol for Kiwi motorists by hundreds of dollars a year," he says. "It needs to reverse these extra costs." His claims contradict the numbers Prime Minister Jacinda Ardern spoke about in Monday's press conference. Between October 27, 2017 and September 28, 2018, petrol prices rose by 39 cents. Of that increase, just 6.8 cents could be attributed to taxes and levies, while 22 cents were due to importer costs and 9.8 cents to importer margins. Between 2008 and 2017, the margins importers were taking for themselves more than doubled from 7 percent to 16 percent. Economist Sam Warburton published a graph on Twitter visually illustrating how the Labour Government's recent tax increases have only had a small impact on increasing petrol prices. Others have mentioned that the previous Government raised fuel taxes nine times. Six of those increases were voted for and signed off by Mr Bridges in his capacity as Minister of Transport and Minister of Energy and Resources. Newshub has approached the Prime Minister's office for a response to Mr Bridges' claims. Mr Bridges said he was pleased to see net debt falling, which he attributed to National's "solid management of the books for nine years". "Indeed the result would be even better if the Government hadn't wasted money on poor spending decisions like the tertiary fees free policy," he says. Labour's decision to axe National's $1000 tax cuts for "hardworking New Zealanders" was the wrong one, he says, evidenced by the unexpectedly large surplus. "We need to make sure the Government doesn't use this as an excuse for further poor spending," he says. "It's already shown its only ideas are to tax and spend - it doesn't have proper regard for Kiwi taxpayers' hard earned money."